If you're like most home owners shopping for the cost of Replacement Windows then you want two things, information and a Price....! 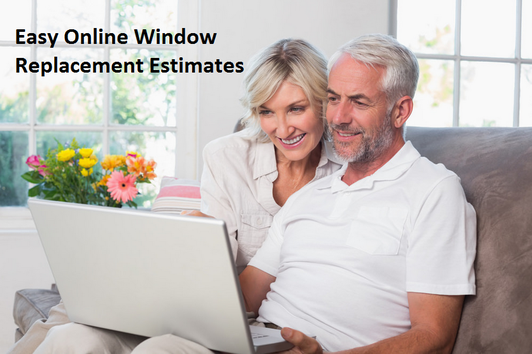 This is exactly what you get with our simple and easy Online Window Estimate. Just fill out the form and we will send you a Good, Better, Best estimate on our Okna Replacement Window line. It’s not rocket science and there is certainly nothing that would require a 2 hour visit from a window salesman just to give you the cost of your Replacement Windows. Most Window Replacement Companies insist that both you and your spouse be present and sit through a two or three hour sales pitch before giving you the cost of there Replacement Windows. ​We know how much our windows cost, why not just give you the price. ​That's the way we think at Suburban Windows and our customers love it! ​No Wasted time and we save you money by not having to pay sales commissions, it just make sense. If you like what you see after you have all the information and our prices you can have us out to you home to go over the details and measure your windows. Suburban Windows is the only window replacement company in Ct willing to give you a price before we meet with you. ​ Our customers love this system and comment on how easy and convenient it was for them. At Suburban you have nothing to loose, we give you all the cost for your replacement windows in a convenient online proposal. Quick Easy and No Pressure! Our detailed proposal will be sent to your email with three prices on your windows. 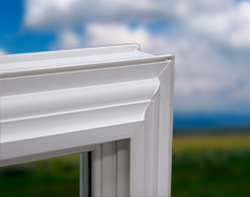 There are many components that make up replacement windows. Every part of the window is part of a carefully engineered system. When your look closer at the details and performance you will discover that the Okna Windows are in a league all there own. There state of the art technology includes a unique magnetic sill and triple weather stripping which contribute to it's low 0.01 air infiltration rate.